The Northland Butterfly Blade Harness was designed to spin effectively even at slow speeds, making it the ideal rig to use when fishing for walleyes, perch, and other gamefish. 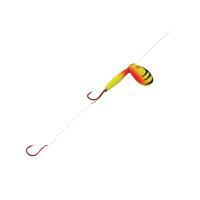 The butterfly blade creates a huge amount of flash and sonic vibration to better attract trophy fish. The premium needle-point hooks excel when rigged with a nightcrawler. Northland Pro Walleye Crawler Harnesses are one of the top walleye rigs among anglers. 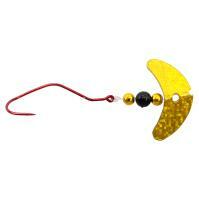 These rigs utilize Deep-Cup #3 Colorado blades for optimum vibration. 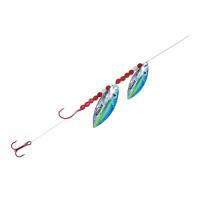 Walleye Crawler Harnesses have a speed clevis for quick blade changes. 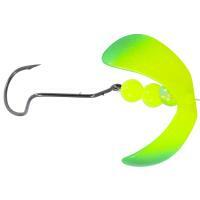 They also have an optically brightened UV blade with SuperGlo beads which are good for dark waters. Northland Pro Walleye Crawler Harnesses come with 40 inches of 15 pound Bionic line with two #4 red hooks. Each package contains one rig. The Northland Baitfish-Image Spinner Harness will beckon active fish from near and far to swim by for a bite. 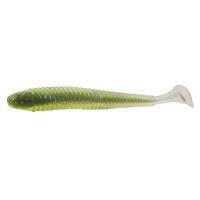 The rig's allure is its highly-reflective "fish scale" attractor blade that will not go unnoticed by any walleye! 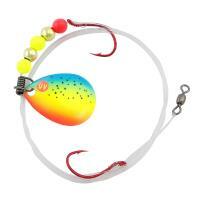 The spinner harness is always a fish’s formidable foe when baited with minnows, crawlers, leeches, and Impulse tails. The Mack's Smile Blade Slow Death Rig features the popular Slow Death hook and an enticing Smile Blade. 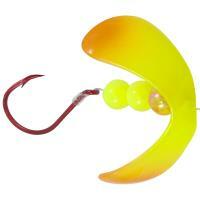 An offset bend in the hook causes the bait to spin, attracting even the most lethargic walleye to bite. 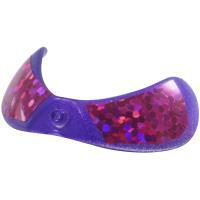 In addition, the Smile Blade's wiggle produces extra flash and motion. The Northland Mr. Walleye Willow Crawler Hauler was designed by Team Northland Pro-Staff member Gary Roach specifically for trolling for Great Lakes Walleye. 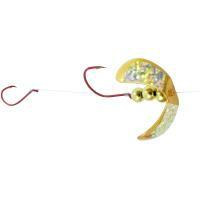 These crawler harnesses are great for use with live nightcrawlers when targeting suspended fish. 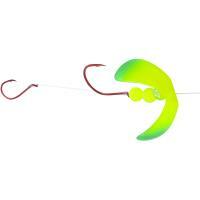 The Northland Butterfly Blade Harness was designed to spin effectively even at slow speeds, making it the ideal rig to use when fishing for walleyes, perch, and other gamefish. 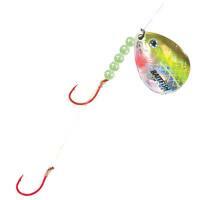 This harness utilizes a butterfly blade that creates a huge amount of flash and sonic vibration to better attract trophy fish. 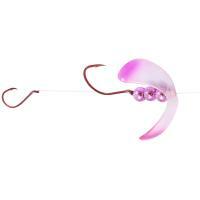 The dual premium needle-point hooks excel when rigged with a nightcrawler or artificial worms. 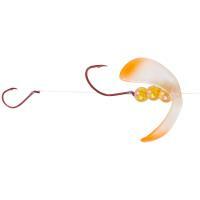 Northland Butterfly Blades are constructed of a tough polycarbonate material which creates a unique spinning action, unlike any other on the market today. 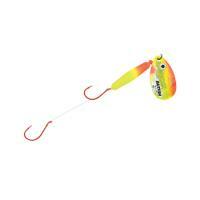 Its propeller shape allows them to spin at any speed, down to a quarter mile per hour. 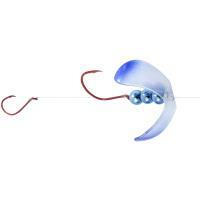 The lightweight blades excel at a wide range of speeds and can be used on a variety of harnesses or slow death-style rigs. 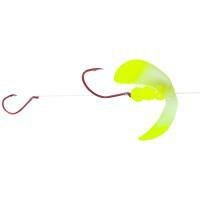 With maximum flash and sonic vibration, these butterfly blades are deadly on walleyes and perch!